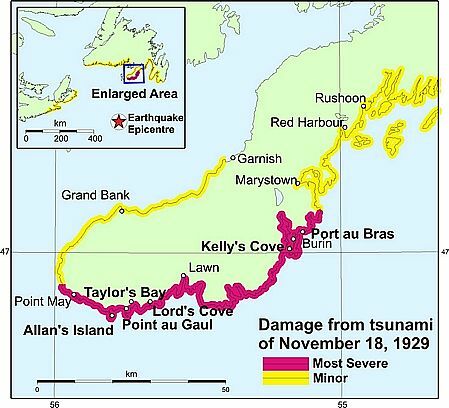 Today in 1929. an earthquake which measured 7.2 on the Richter Scale erupted under water 65 kilometres south of Newfoundland's Burin Peninsula. The quake created a Tsunami wave which struck the Burin Peninsula in the evening at about 40 km/hr. 27 people were killed or drowned by the wave in Newfoundland plus another person in Nova Scotia. Hundreds of people were left homeless and many left destitute as their way of life was destroyed. 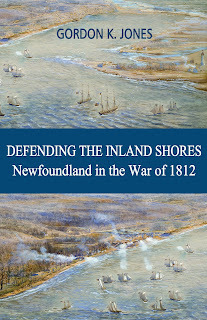 Schooners and other vessels were swept out to sea. 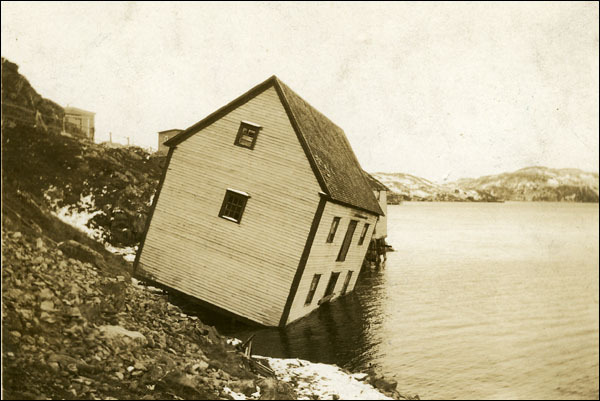 The wave destroyed stages, flakes, damaged wharves and fish stores. Approximately 127,000 kilograms of salt cod that were to be used for winter food and sale to other parts of the world were washed away. 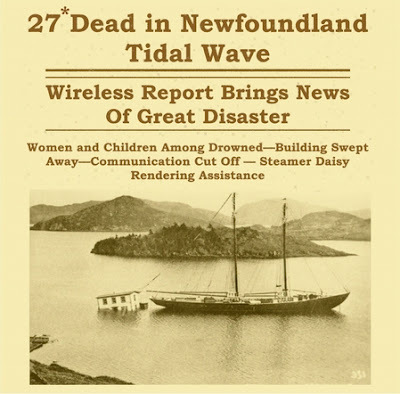 To make matters even worse, all communication lines to the outside world were lost so nobody outside of Burin knew of the disaster until the SS Portia made a scheduled stop in the harbour three days later. The loss in dollars was estimated at $1 million which converts to $13.8 million in 2017 dollars.